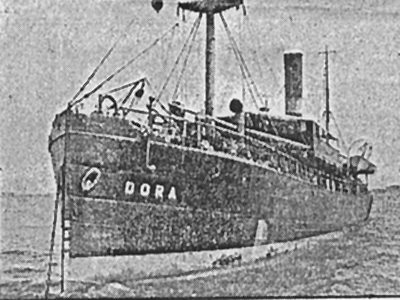 Dora was the only ship to sail from western Europe. Left Dutch port of Vlissingen with 500 mostly German Jews who had escaped to Holland. 160 boarded in Antwerp. News reports said they were going to Siam, but they were successfully secretly landed at Shefayim in Palestine.